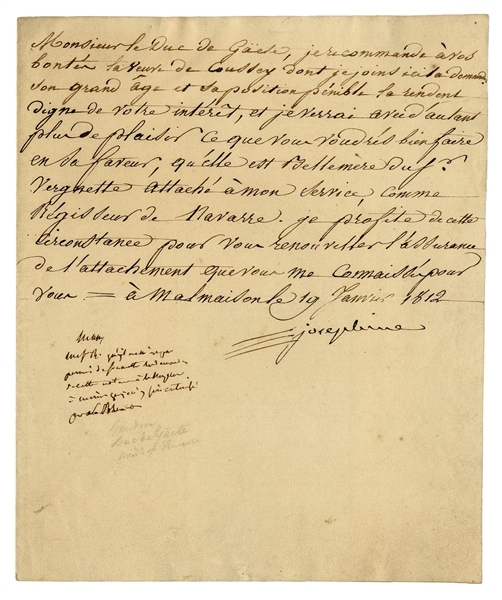 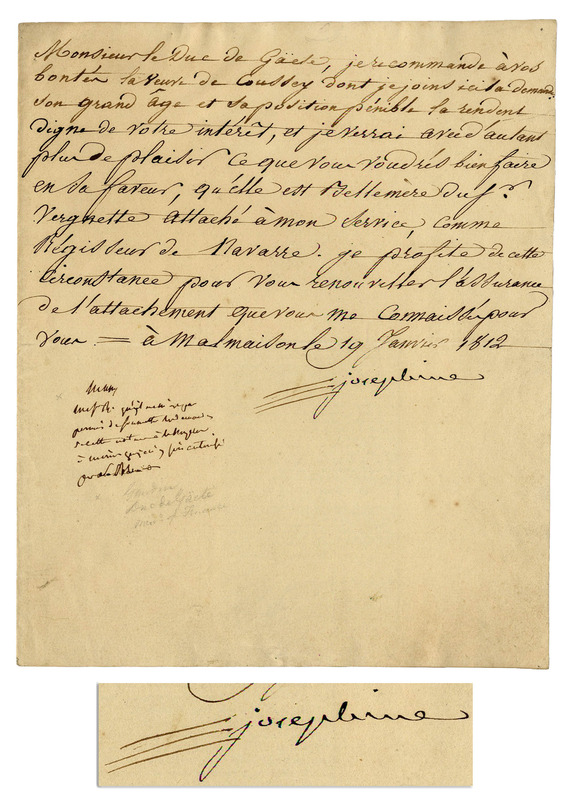 Josephine Bonaparte letter signed ''josephine'' from her home at the Chateau de Malmaison on 19 January 1812. 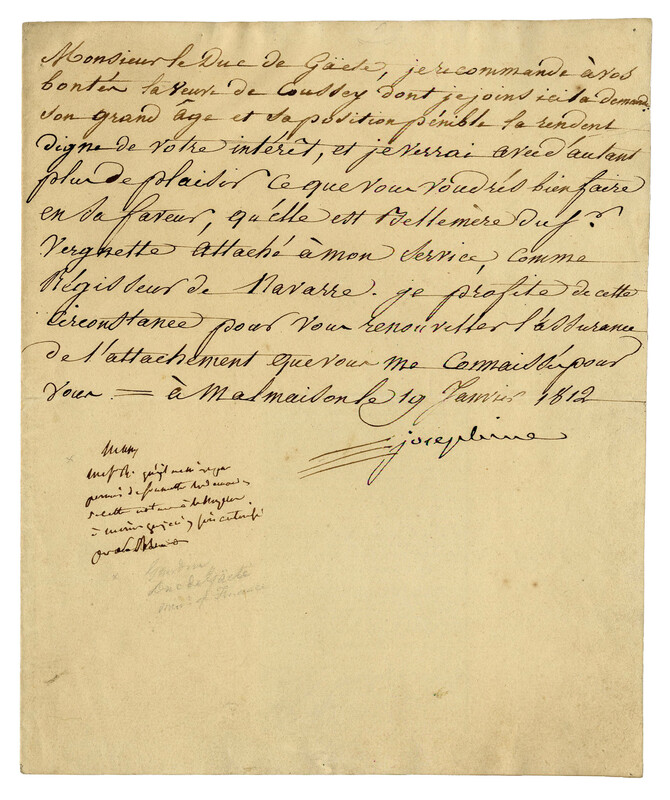 Addressed to the finance minister of France, Martin Michel Charles Gaudin, duke de Gaete, Josephine writes a letter of recommendation for a widow, asking that she be added to Josephine's service as the Duchess of Navarre. Single page on card-style stationery measures 7.5'' x 9''. Accompanied by several engravings for framing. 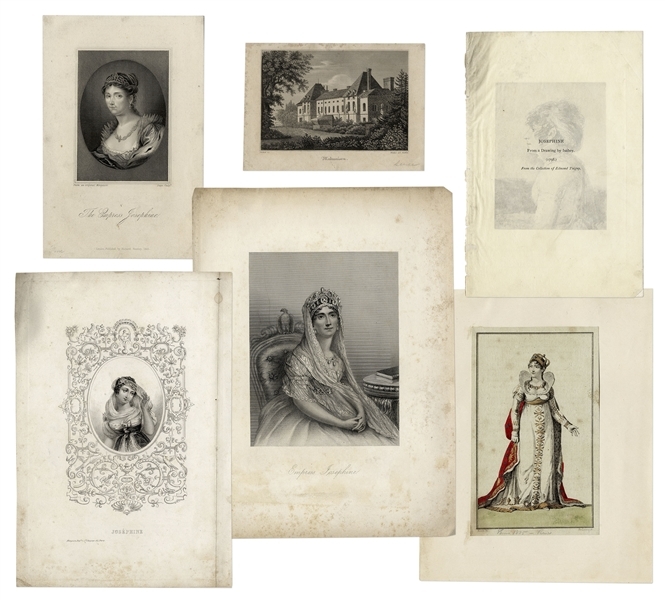 Uniform toning and light pencil notations, otherwise near fine condition.